It’s official! I 100% have a little lady on my hands! 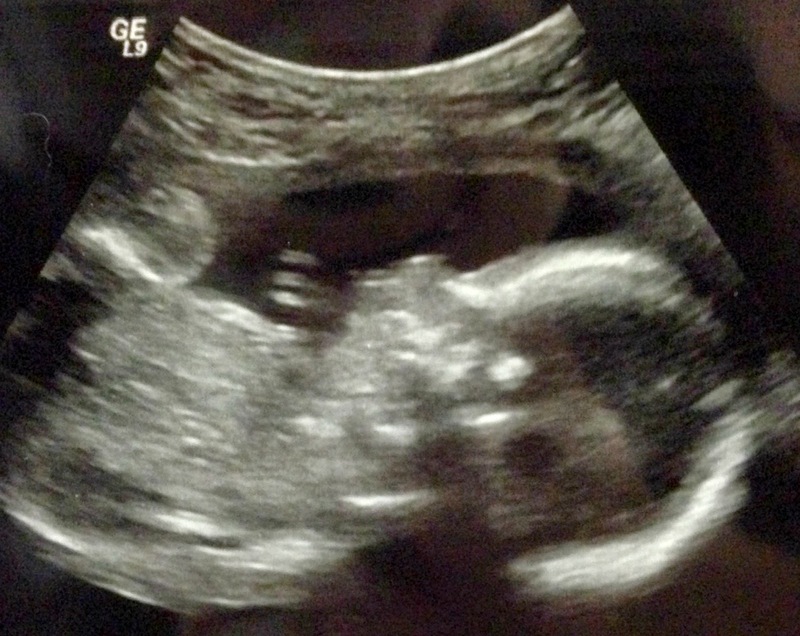 I was so nervous/excited about this week’s appointment because I let those little voices in my head convince me that I could be having a boy since I found out she was a girl so early. 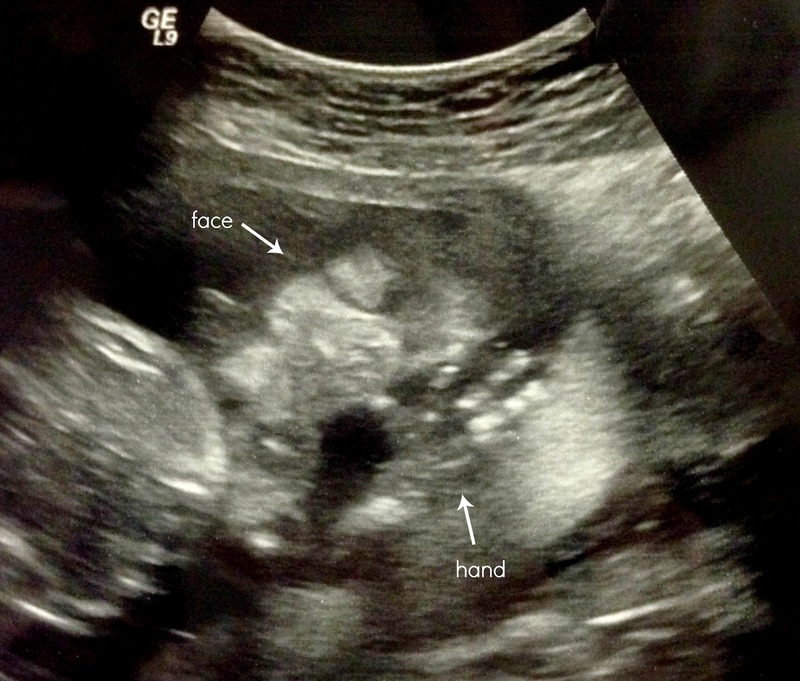 Not that having a boy would be a bad thing … I just had a fear of re-programming genders mid-pregnancy. It didn’t help that the Ultrasound Tech started my appointment by saying she would never confirm a girl that early in pregnancy but thankfully, the gender gods were smiling down on us and put my overly exaggerated womanly fears to rest. Mykenzi is beautiful and measuring perfect with 10 fingers and 10 toes … I counted. Below are some pictures from Little Miss Priss’ appointment! SPOILER ALERT! Okay, so I’m totally going to be “That Mom” for a moment and completely gush about how in love I am with my daughter. In the beginning of pregnancy you don’t feel much so its hard to be connected to the baby … but then slowly you start feeling the baby move and kick and so forth. At this point in the pregnancy I’ve completely fallen head over heels for this little girl. It’s amazing to interact with her. When her Daddy talks to my tummy she starts kicking away and it completely melts my heart! She’s a Daddy’s girl already! 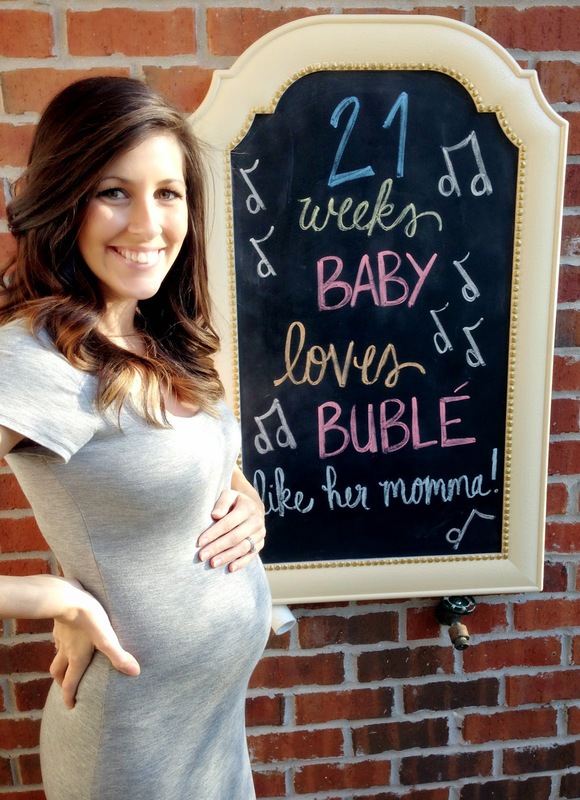 Her Momma genes shine through with her love for Michael Bublé. Since she is able to hear in the womb I’ve started playing Bublé for her and the instant she hears it she wiggles like crazy. She knows good music when she hears it! Let’s all take a moment and have a little love sesh with Mr. Bublé, shall we?! This is by far my favorite point in my pregnancy with all the new feelings and interactions going on … I can’t wait to see what the future holds as this pregnancy progresses. I don’t think I could possibly love her anymore than I already do … but I know once I get to see and hold her for the first time I’ll be bursting with love. I can’t wait! Total weight gain? 10.2lbs, Doc says I’m right on track! Maternity clothes? I’ve been wearing a lot of dresses lately but I’m certain in the next few weeks maternity clothes are going to outweigh my regular clothes. Stretch marks? Still holding firm! Not yet! BUT … I have started noticing the faint line they call Linea Nigra on my lower abdomen. Sleep? Sleep is getting better again. On Monday I did nothing but eat and sleep. I’d wake up hungry, eat, go to sleep, and repeat. It was nuts! PEAK of the week? Seeing Baby Girl this week! I can’t wait to meet her! PIT of the week? Life stresses! I’m trying to stay relaxed but we’ve got a lot going on that makes it a little difficult! I’m hanging in there though and Little Miss let’s me know when I’ve gone overboard. Miss anything? Missing my clothes again. I had an Easter dress picked out that I thought was Pregnancy Proof and while planning for our annual Easter trip to Alabama I realized it does not fit. So this week provided a full on Easter Dress Hunt … thankfully, Old Navy had my back and bump! Movement? All day, everyday! We have a wiggle worm! But it always brings a smile to my face so I don’t mind. 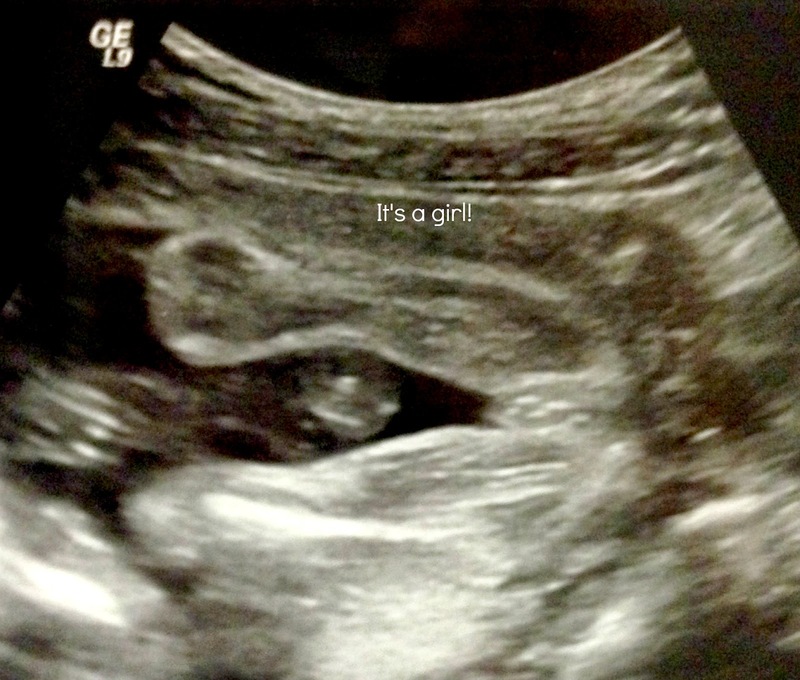 We’ve also been seeing the kicks through my belly … I love just sitting, staring at my belly watching her move. Food cravings? Blueberry Waffle. We always have a breakfast date at Waffle House after our appointments and my husband always gets a Blueberry Waffle … except I think I ate more of his waffle this time than he did. #sorrynotsorry And I’ve been thinking about one since! Ahhh! So good! Anything making you feel sick or queasy? Not these days! I’ll take it! Symptoms? Fatigue! Momma has been a little slow moving this week! Baby Girl is zapping my energy levels! I can’t really complain because I haven’t really felt tired the entire pregnancy until now. Belly button in or out? Flat … starting to smooth out! I wonder when it will pop. Happy or moody? Pretty happy this week! Minor mood swings when stresses overwhelm me but nothing outrageous. Milestones? Hiccups! The cutest thing ever. And interaction between Baby and Daddy! Looking forward to? Easter in Alabama! We haven’t seen this side of the family since Thanksgiving when we still didn’t know we were pregnant, so it will be fun to catch up and spend some time with them over some good ol’ southern cooking! Upcoming Appts/Events? Daddy’s 30th Birthday is Friday! Easter in Alabama, and a Check Up in 4 weeks! Oh I cannot wait for hiccups!! When we saw Book of Mormon she was moving so much! I need to be better about playing music for her. Happy weekend lady!